I wrote to the editor of the London Review of Books concerning their Syria (and Libya) coverage. There’s been no reply, so I’m posting the letter here. Watching the representation of the tragedy in the media has been almost as depressing as watching Syria burn. As someone with strong leftist and anti-imperialist leanings, it’s been particularly galling to find that ‘leftist’ commentary on Syria has often been the worst of all. Large sections of the left have wholeheartedly embraced the very discourse that they resisted during the War on Terror years – that of ‘terrorists’ and al-Qa’ida conspiracies explaining all. 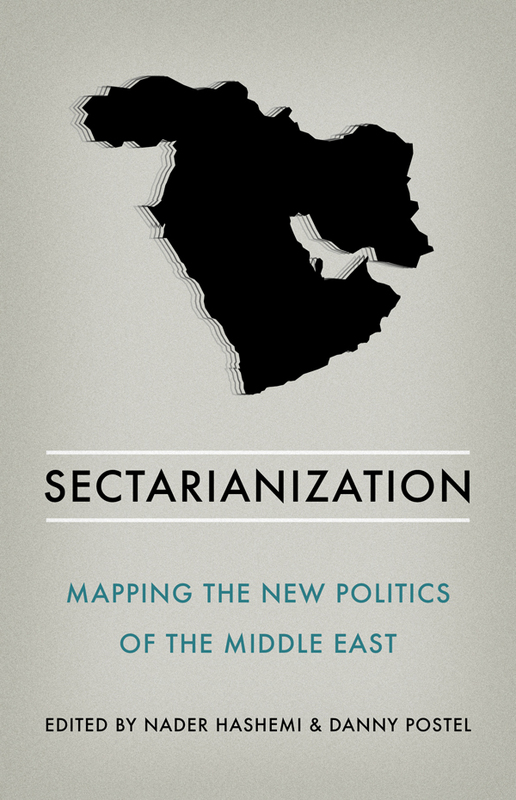 Leftist journalists have paid little or no attention to the regime’s blatant and deliberate instrumentalisation of sectarian hatreds, but have focussed on, and exaggerated, the backlash. Robert Fisk has gone so far as to embed himself with the regime army, and to (grotesquely) interview survivors of the Darayya massacre in the presence of the perpetrators of the massacre. Many leftists have convinced themselves, against all the evidence, that the American-led empire has been conspiring against the Syrian regime since the start of the revolution, that this is a re-run of Iraq. Tariq Ali even appeared on Russia Today (near the start) to explain that America was trying to take over Syria but Russia was protecting the country. Russia – the imperialist power which is arming and funding the regime as it commits genocide. I subscribe to the London Review of Books because it’s by far the best written, most incisive, most reflective, and bravest British publication. 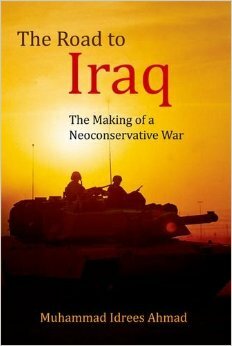 Publishing Walt and Mearsheimer was a great move. On the middle east, Adam Shatz is always excellent, well-informed, interested in teasing out a complex truth. Much of the coverage of the revolutions has been eurocentric and orientalist, however. I agreed with novelist Hisham Matar when he called ‘shame’ on Hugh Roberts’s very long Libyan piece which at no point attempted to see things from a Libyan perspective. Rather, it cast the Libyans as passive agents, pawns in the hands of the devilishly clever white man. And on Syria, commentary has been statist-leftist, as if this were an amusing chess game between regional and super powers rather than a struggle for freedom and a genocide, with only one side receiving sustained imperialist aid. I wrote in brief about Patrick Cockburn’s orientalism here. There are wonderful young Syrian or expatriate Syrian journalists writing reports from on the ground – people like Amal Hanano, Rime Salahi, or the National’s Hassan Hassan. There’s the intellectual Yassin al-Haj Saleh living in the eastern Ghouta, or Khaled Khalifa, the novelist, surviving under bombs in Barzeh. 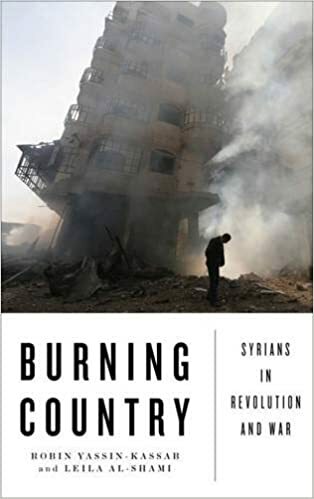 Outside Syria there’s Louis Proyect and Michael Neumann, who write about about the left’s failure in Syria from non-Syrian perspectives. But we keep reading dinosaurs who don’t speak Arabic, who haven’t been to Syria, who have been driven around by the regime if they have been, and who made their mind up about this very contemporary situation either in 2003 or 1968. Hugh Roberts knows how to write an essay. Patrick Cockburn has a long reputation. If the LRB chooses to publish such people, or to see through their eyes, there’s nothing I can do about it but be disappointed. But I do think that the LRB has a duty to avoid publishing untruths and deliberately misleading half-truths. I am thinking of Tariq Ali’s recent blog piece, which said that Syrian rebels are “armed and funded” by the West. This is simply untrue. The West has sent some humanitarian aid, some satellite phones and so on, but no weapons. Indeed, the US’s most significant role thus far has been to actively prevent the Saudis and Qataris from sending the heavy weapons which the Free Army so desperately needs to defend the people from the genocide. Once these untruths are established, they are then used by conspiratorial statist leftists to build up an entirely false and insulting narrative which denies the agency of the Syrian people and casts them as pawns of foreign powers. Of course, the LRB isn’t alone in publishing this kind of thing. You can read the “armed and funded by the West” line in the Guardian every day. But at one point I had hoped and expected that the LRB would do better. It’s possible to oppose intervention (although I don’t see these ‘anti-imperialists’ opposing the massive Russian and Iranian interventions, the actually existing interventions, with similar passion) without a wholescale abandonment of reality. Such journalism is in fact a form of propaganda, and it’s very ugly indeed. Sad to find it connected to the LRB which, in general, is not ugly but beautiful. update: Since September some American light weapons have gone into Syria, and the Americans have helped train a few Free Army soldiers in Jordan. This late and largely irrelevant involvement still does not begin to justify the allegation that rebels are “armed and funded by the West”, and it certainly didn’t justify the lie when it was told two years ago. 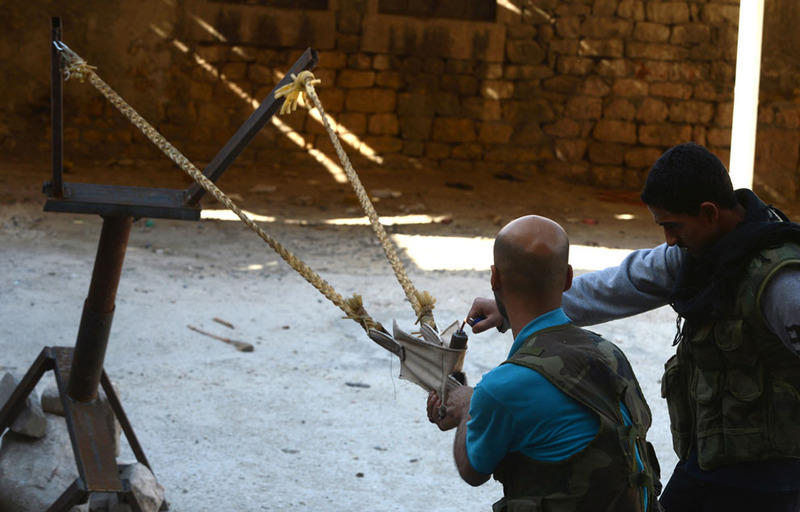 The resistance in Syria remains dependent on the weapons it captures from regime bases. The al-Qa’ida linked groups have their own weapons supplies from Iraq and from private donors in the Gulf.